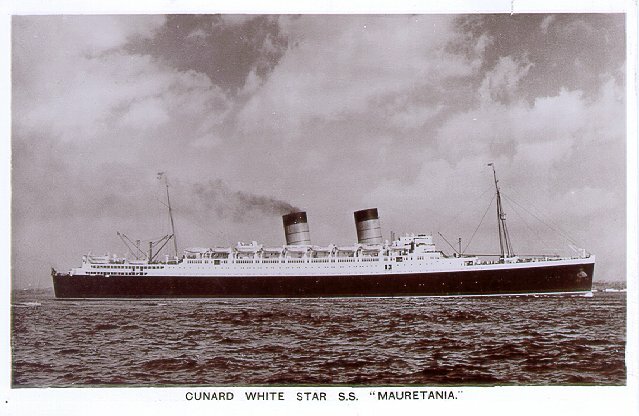 Launched in 1938 at Cammell Laird, Birkenhead, Mauretania II was the largest ship built in England up to that time, and the first ship built for Cunard-White Star. 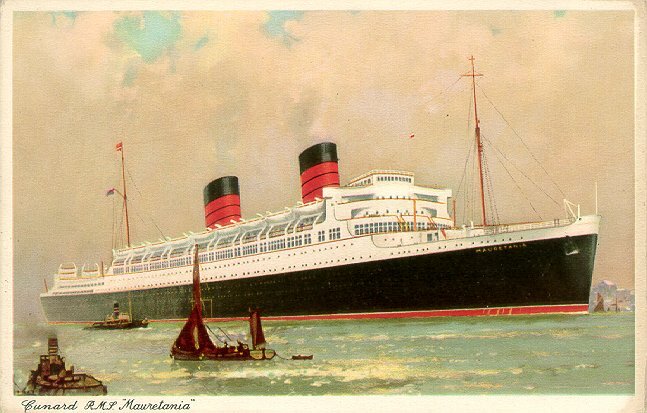 She made her maiden voyage from Liverpool to New York on 17 June 1939, and in August was switched to the London-New York service. 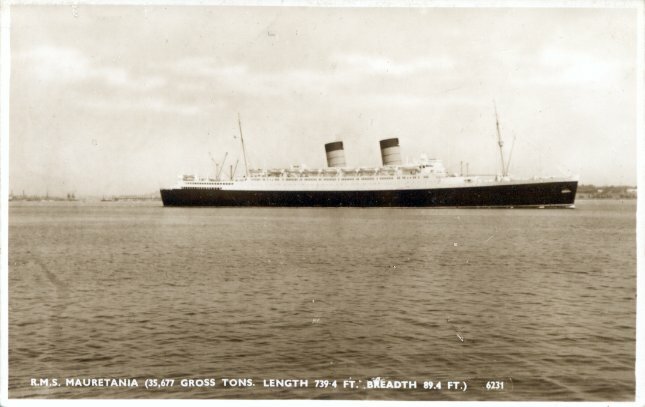 She made two Atlantic crossings after World War II broke out. 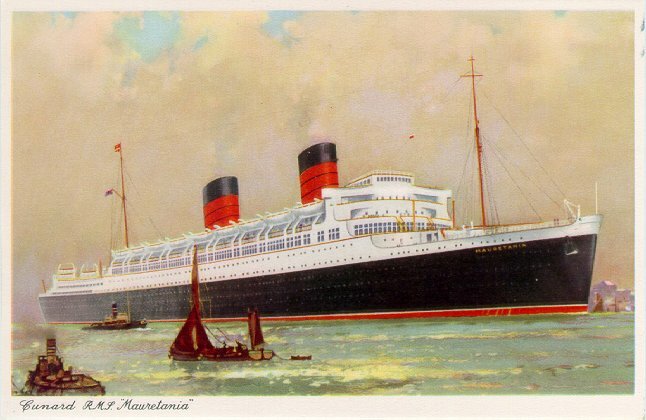 Converted into a troopship at Sydney in 1940, Mauretania remained in that service through the end of the war, traveling 540,000 miles and carrying over 350,000 troops. 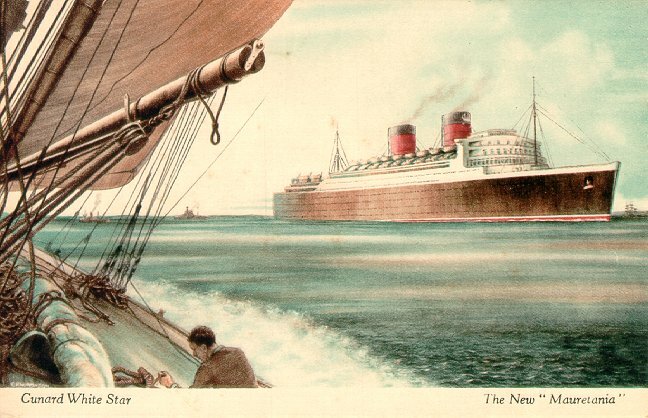 After being refitted, she returned to Cunard-White Star service in 1947, principally on the Southampton-New York route. 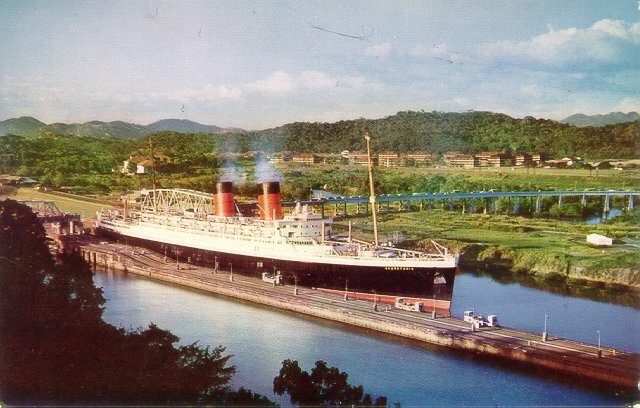 She was also used extensively for cruising, including a world cruise in 1958, and was painted green in 1962. 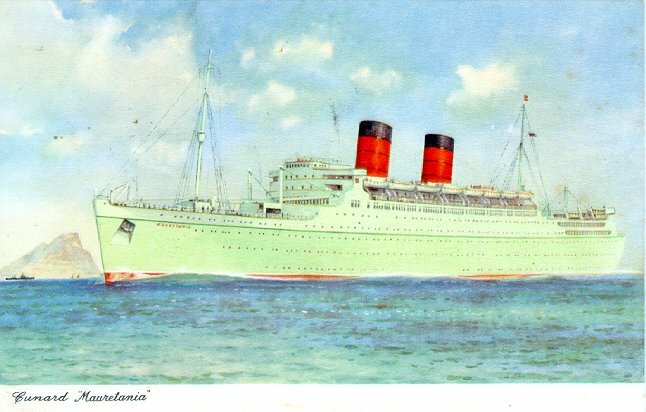 Switched to the New York-Mediterranean service in 1963, she made her last sailing, New York-Mediterranean-Southampton in September 1965, and was then sold for scrapping at Inverkeithing.